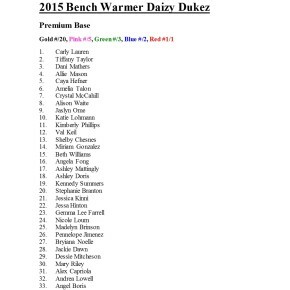 Bench Warmer Daizy Dukez! 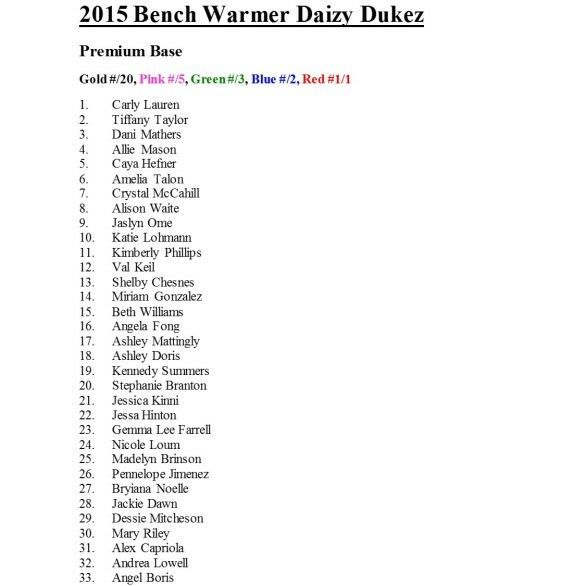 Featuring: New Premium Base – 1 per box; New Haystack Autographs; Daizy Shoe Piece; Base Autographs; Daizy Jumbo Swatch; Daizy Inscriptions; Daizy Signed Kisses; Daizy Dual Autographs; New Daizy Quad Autographs; General Lee; Signed Authentic 1/1 Zipper Cards; and New Farmers Daughter. Buy one box for $99.95 or buy more and save. Multi Pack of 4 boxes $369.00. 10 cards per box.